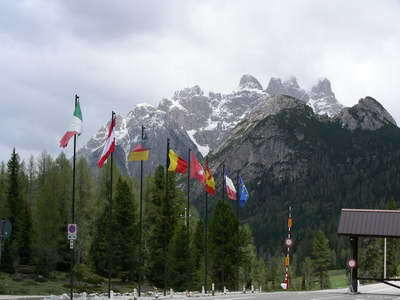 "The Dolomite Mountains are very jagged and dramatic. There is plenty of great skiing here!" The Dolomite mountains offer many different things to see and do, depending on the time of year you go. Whenever you decide to go one thing is for sure you are going to love the dramatic peaks and beautiful valleys you will find here! The Dolomites basically start at the top of Lake Garda and stretch northwards towards the Austrian border. 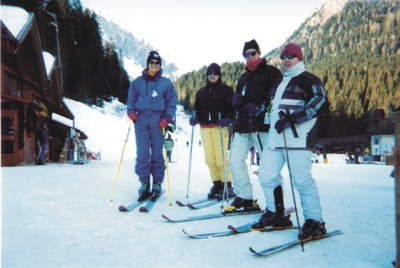 In the winter time skiing is very popular here and you can find a whole range of slopes to suit your ability. 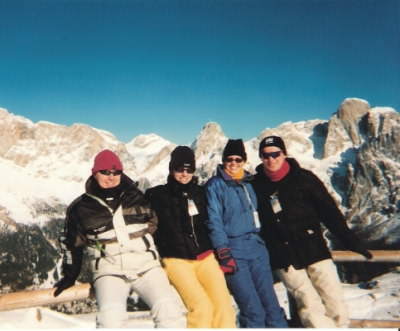 Being intermediate skiers we really enjoyed our ski trip to San Martino di Castrozza. There were two slopes here and another at Passo Rolle close by and you just walked outside the hotel and hopped on a bus to any of the slopes. While this resort is not as large as some, we really enjoyed it and the scenery was awesome! If you want to do more advanced skiing with lots of black runs then you will need to head a bit further north where the mountains are even higher and steeper! You can also get a Dolomiti Superski pass which allows you to ski at many different resorts on the same pass. The prices for the ski passes are generally pretty good compared to most ski resorts and were around 20 euros a day when we last went. In the summer there is a lot you can do in the mountains. Perhaps a leisurely drive through the mountains to all the vantage points so that you can see the most spectacular views. 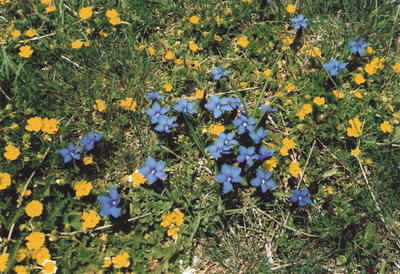 Maybe you fancy a walk to look at all the beautiful mountain flowers which bloom as this time of year. You may also want something more active in which case there is plenty of choice. It is the perfect places for long hikes, challenging mountain biking or rock climbing. It is also very popular with people cycling fanatics on the mountains roads and we were amazed at the amount of cyclists riding up crazy inclines for mile upon mile!